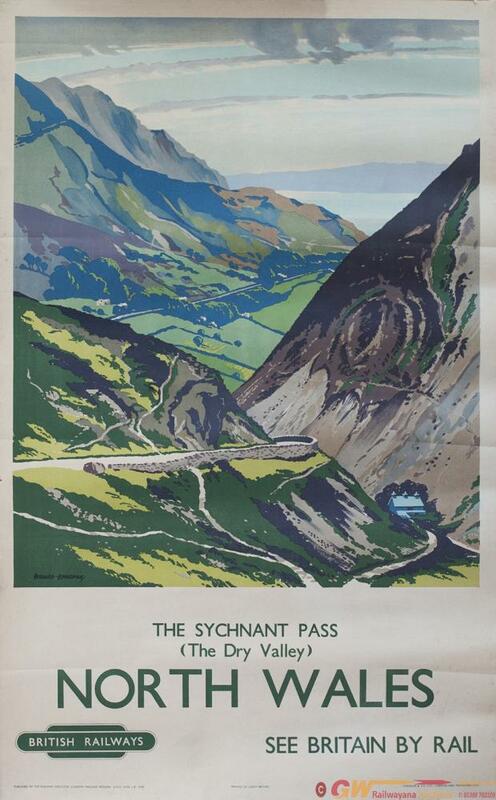 Poster BR(M) NORTH WALES THE SYCHNANT PASS by Bernard Bowerman. Double Royal 25in x 40in. In good condition with minor edge tears. Published in 1949.